Who doesn’t like the chatpata, sweet, tangy, salty flavours of chaat? There are as many ways to make it as there are chefs. The fun part of this recipe is getting your kids to make their own sprouts. This transforms them into nutrition powerhouses, increasing the amount and bioavailability of protein, vitamins and minerals. So let’s get going! 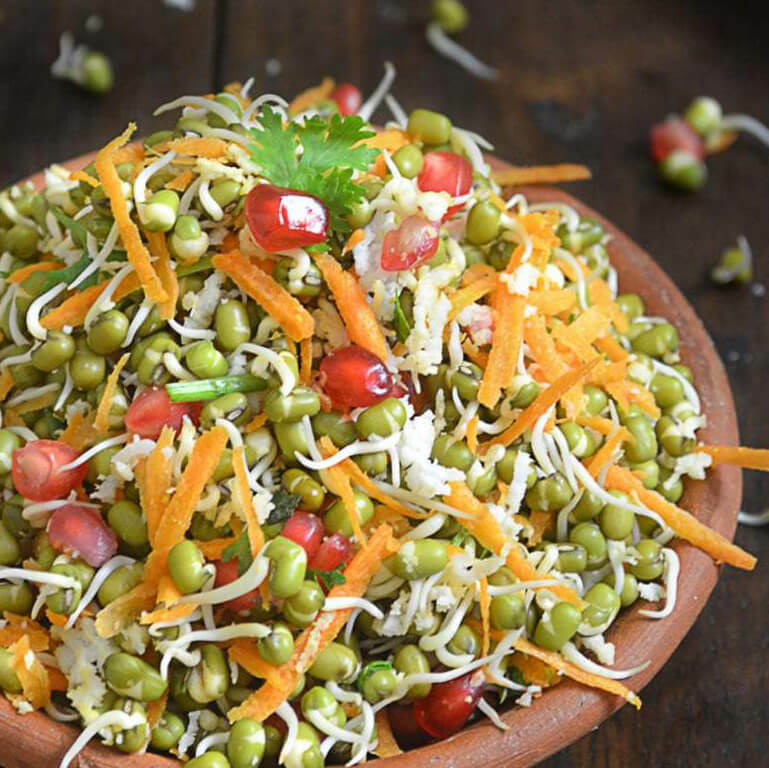 In a large mixing bowl add all the sprouts, onion, cucumber, pomegranate seeds and tomatoes and toss them lightly. Then add lemon juice, green chillies, salt and chaat masala, and mix well. Garnish with organic raw peanuts and coriander leaves. Serve immediately.